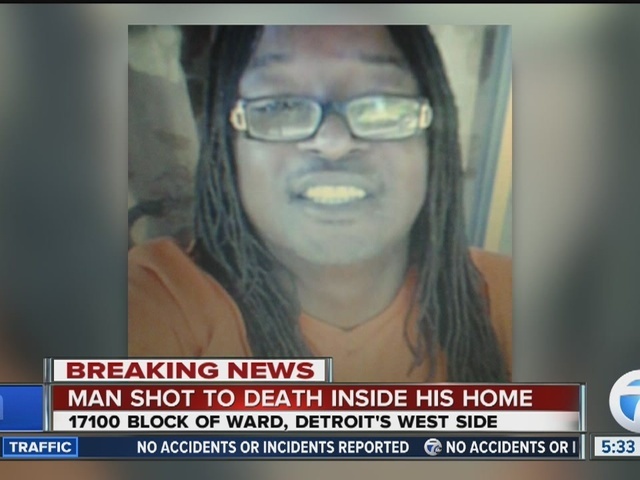 Detroit police are investigating after a 60-year-old man was shot and killed overnight inside his own home. It happened in the 17100 block of Ward Avenue. That's right by McNichols and the Lodge on Detroit's west side. The victim's wife, Margie Taylor, tells 7 Action News there was a knock at the door and her husband, Lester Taylor, let three men inside. That's when he was shot. She says she was in the bedroom at the time and jumped out the back window. Margie says her husband must have known the men -- and that they shot him to steal his medical marijuana. 7 Action News has learned Lester has died at the hospital. He leaves behind 13 children. Margie says he had been going back to school for business.